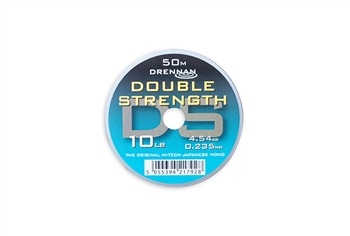 Drennan Double Strength is the original Japanese hi-tech line made available in the U.K. 50m Spools. Offering excellent strength to diameter ratios. in a wide range of breaking strains. this soft and supple neutral tone line behaves and handles very well in a wide range of uses.